Non-perishable products and financial contributions are being collected to benefit the Second Harvest Foodbank. 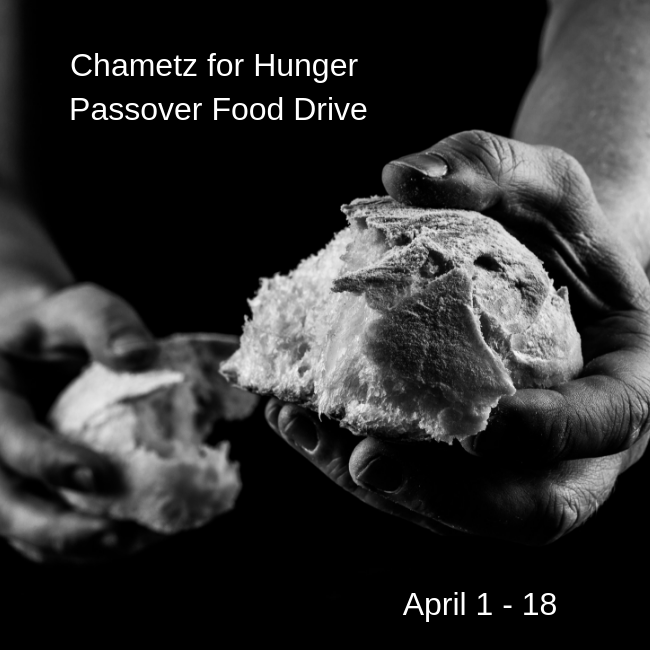 Food items may be dropped off at the Jewish Community Center of Youngstown, Akiva Academy, Temple El Emeth, Congregation Rodef Sholom, and Congregation Ohev Tzedek. Mail monetary donations to the JCRC office at 505 Gypsy Lane, Youngstown, Ohio 44504. For more information, call the JCRC office at 330.746.3250. 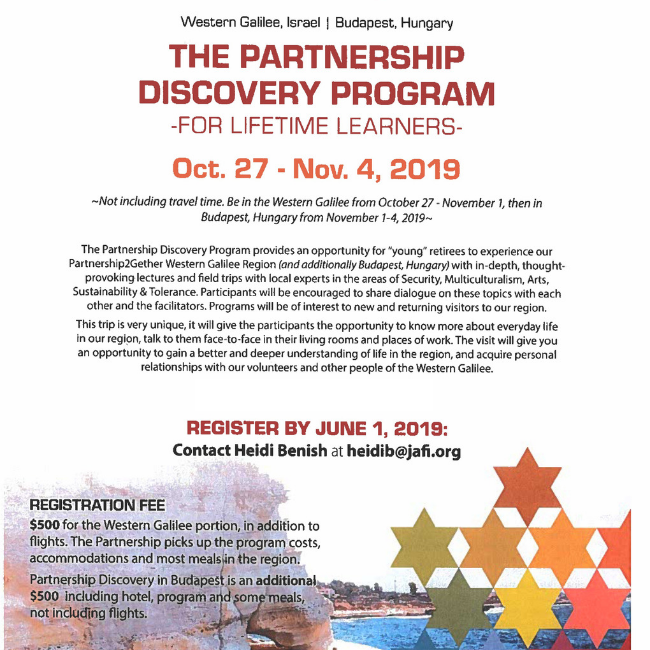 The cost for the Western Galilee portion is $500 and the Partnership Discovery in Budapest is an additional $500. These costs include accommodations, program costs and most meals. Flights are not included and must be arranged and purchased by the participant(s). The Federation will subsidize half the cost of each leg (excluding flights) for participants. The Federation suggests an increase to each participant's Campaign gift by a minimum of $125/leg for the 2019 and 2020 Campaigns. Click the image for more information. 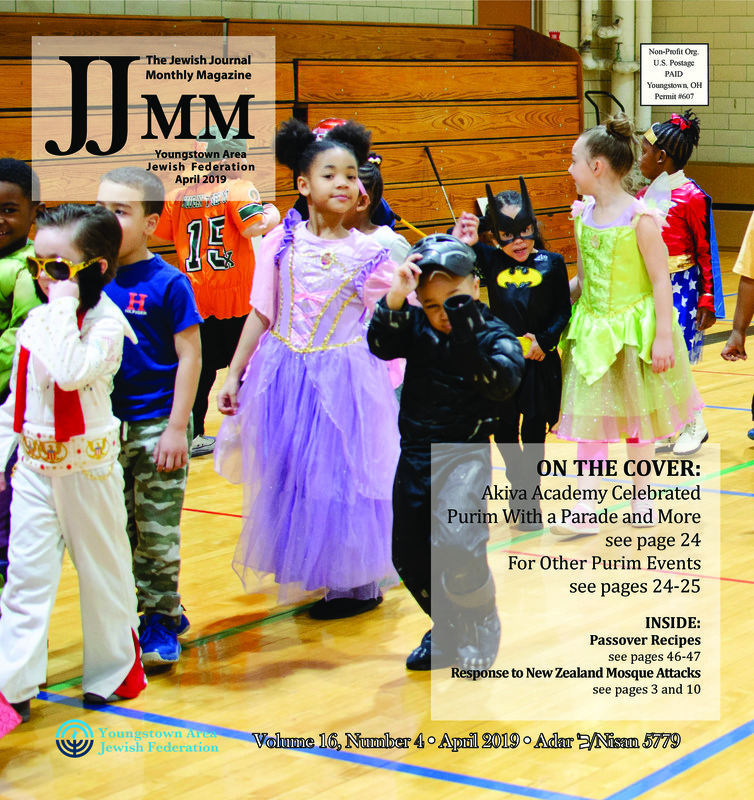 Click the image to read the April Journal. Click the image to see several videos.